Interactive designers UltraCombos collaborated with Taiwanese dance company Anarchy Dance Theater, on their performance piece titled Seventh Sense which made its European debut recently at the TodaysArt Festival in The Hague. This viewer-centered performance detects all movements including those of the dancers and audience, allowing them to interact through visual effects. 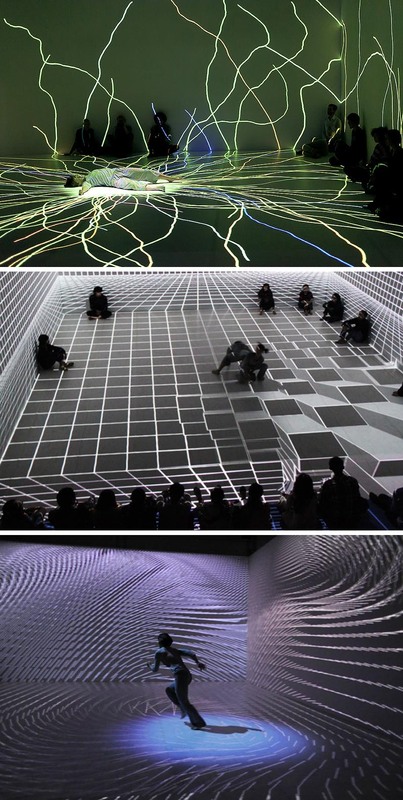 The audience becomes not just the viewer, but an active participant via the interactive projection mapping. Very cool. For those of you in Spain, this Seventh Sense performance will be coming to Centro Parraga in Murcia, October 19 and 20, 2012, so you might want to catch it if you can. Photos: Top three by Ed Jansen. Bottom three courtesy of Anarchy Dance Theater. This entry was posted in Art, Film, Interaction Design, Just Plain Cool, Light, Pop Culture, Stuff We Like. Bookmark the permalink.